hello summer friends! 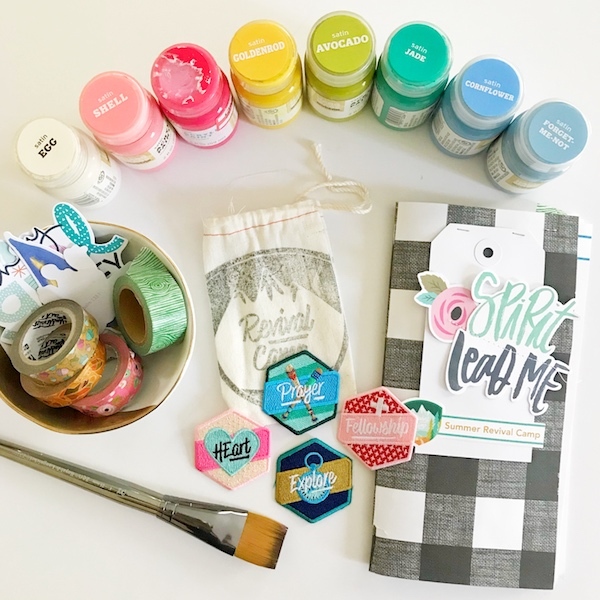 i'm so stinking excited to show off the NEWLY designed devotional kits from our besties at illustrated faith.... and i'm doubly stinking excited [!!!] that the new design is premiering with one of my all time favorite series of devotionals -- REVIVAL CAMP! i've got a full unboxing video already posted over on my youtube channel & if you've got a little minute to watch, you can dig in right along with me! 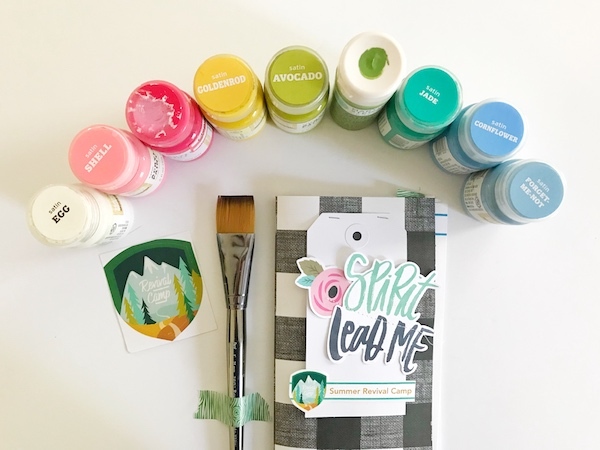 the new design for the monthly devo kits is pretty fun & exciting for those of us who really love to dig into a theme or topic.... starting now with revival camp, the main idea for each series will span the course of three kits/three months. that's a lot of awesomeness, right?! i am so excited for this change up & can't wait to see how it works out in the coming months!! 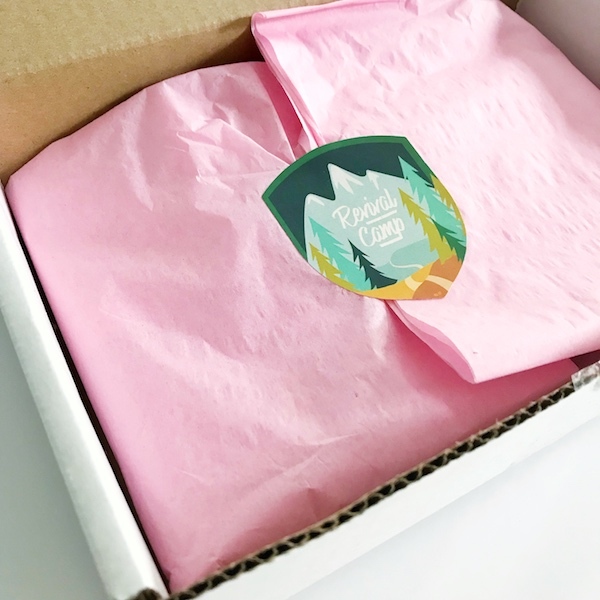 each kit will still be different, with fresh content + pretty goodies tucked inside, but will continue with the same overall topic for three months. for our first kit with revival camp, there are four devotional content pages included [i've glued mine down inside THIS traveler's notebook from my etsy shop -- you can never go wrong with buffalo plaid! ], but i intend to do most of my camp journaling directly in my ESV journaling bible. i pulled a small sampling of my favorite products -- all that i already had on hand which means FREE to me this time around! -- to use as my camp kit. washis, paints, ephemera from recent IF collections [i love the colors from all people all nations that coordinate so well!] as well as my tride + true tools.... TAB punch, tiny attacher, mega date stamp, basics tool kit & my wordfetti booklet. 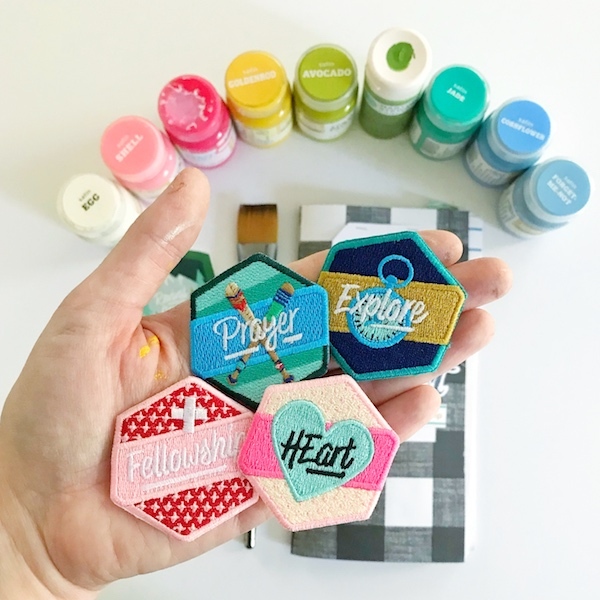 i'm so excited to be collecting these embroidered badges each month during revival camp -- what are you going to do with your badges? i need some ideas, friends! !